Why no MG at Geneva? 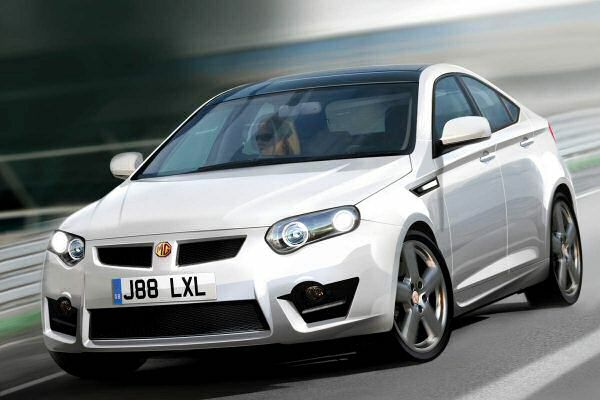 Geneva was the perfect opportunity for the world to see the upcoming MG6... but no dice. Spent a lovely day at the Geneva Motor Show last Tuesday – and, funnily enough, found myself poring over what a friend likes to call the ‘tat hall’. It’s the area of the show that the world’s media seems to overlook (in the rush for the latest new car launches) but for enthusiasts who, like me, were brought up on the annual Auto Revue guide, it’s an absolutely fascinating place. It’s where you’ll find names such as Sbarro, Rinspeed, Ital Design – and, should you need to, the best place to take the pulse of the car industry. And from what I can – it looks healthy… with reservations. Being just like that schoolboy from the 1970s, who stood with his nose pressed against the showroom window, I took my time to take in the concept cars (which seemed thinner on the ground than usual). I was also fortunate to speak to some of the people behind these cars – Leonardo Fioravanti (designer of the Ferrari Daytona, among others) reckoned it’s tougher for the Italian design community right now than ever before. However, talking to the guys working on the Lightning GT and Fisker Karma (two high-profile alternatively fuelled supercars), the order books have never been fuller. Perhaps we are on the crest of a sea-change in the industry. Certainly Stephen Harper (design guru and, latterly, a contributor to this site) reckons that these are exciting times for those prepared to experiment with the packaging of cars in future years (hybrids and electric cars, for instance, can have their drivetrains distributed completely differently within the car, allowing designers to move away from the traditional ‘box’ structure). It was interesting to see so many more Chinese exhibitors than ever before – they were rubbing shoulders with the West’s big names and not looking too shabby in the process. Brilliance looked palatable and the quality of its interiors seems to have taken a leap since last year. Chery and Geely were there as well…. and not looking too embarassing at all. Sadly, though, the most notable absentee was MG. Considering the Chinese industry’s assault on the West begins here, it was most disappointing not to see SAIC Motor’s take on the iconic marque at first hand. If MG were to show its hand in Europe, then Geneva would have been the perfect place – and, with so many of the UK’s media there, I reckon they’d have enjoyed a fair bit of publicity. Instead, we’re left with more questions than answers – will Longbridge survive as a production centre (I doubt it now) and just how good will the Chinese-built cars actually be? It could be that SAIC/MG/Roewe are playing careful in initially targetting overseas markets, eg South America, Israel, where their products may be under less scrutiny for build quality. However, their very low sales/production figures for 2008 do make me wonder whether shifting the whole lot to China was worthwhile. Maybe the Chinese government will not let the project fail but it is a significant template for future Western brand acquisitions. That picture of a white MG6(?) looks promising but I agree it may be a long time till it comes to fruition… if ever. As the World market for cars is in a poor state at the minute, I guess the Chinese will throttle back on development and this may affect Longbridge’s future growth – if any. Let’s hope not, I would like to buy a UK built MG again. I’ve doubted all along that Longbridge would survive as a serious facility – the supposed deal to secure its, and MG’s, futures was creaky to begin with. They’re going to have to do something fast, though, as any loyalty to the brand’s going to evaporate before long with no new, quality, metal. 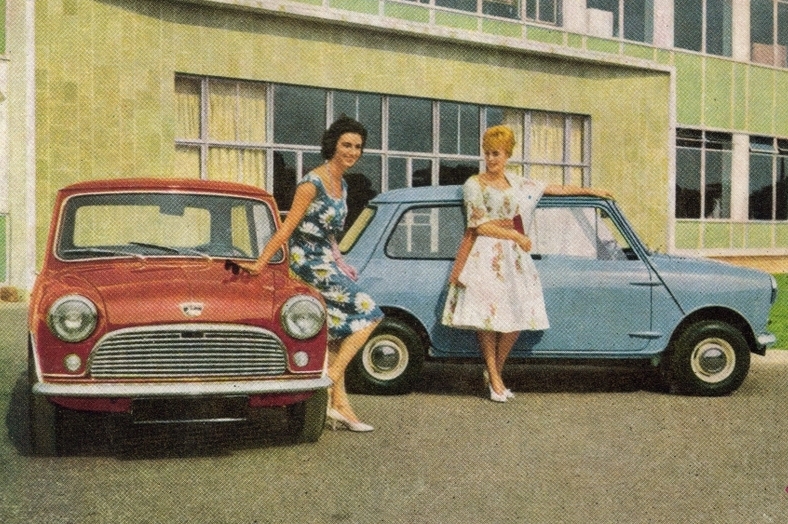 Essay : Mini production – how many?